Sassy Sites! : t2t tuesday is here! Oh! How I LOVE spray paint! I decided to dedicate these t2t features today to spray paint. Did you see my swing set recovery? Seriously, spray paint can make ANYthing look new! I thought it would be fun to make a collage of all of my favorites from the week to show you how FUN spray paint colors can be! 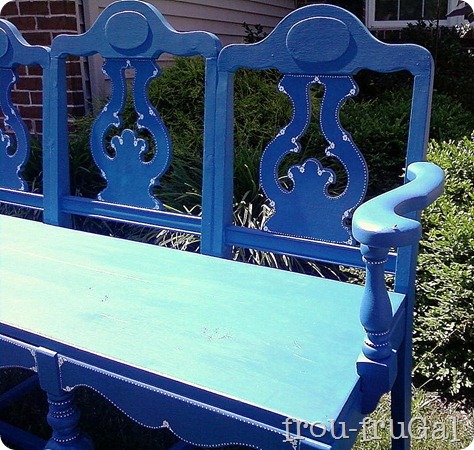 Frou-Frugal made an adorable bench out of chairs that she already owned. Love this!! Elizabeth and Co. completed 3 projects using my favorite stuff! Snowflakes and Dragonflies gave her salt and pepper shakers a face lift with RED! I LOVE this buffet from White Street Interiors. The black and the silver medallion in the middle are gorgeous together! 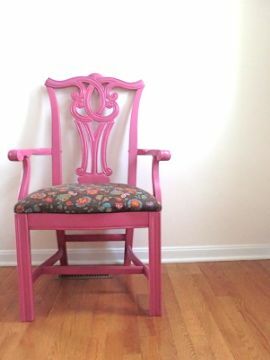 Decorating Insanity transformed this chair into something FABulous! 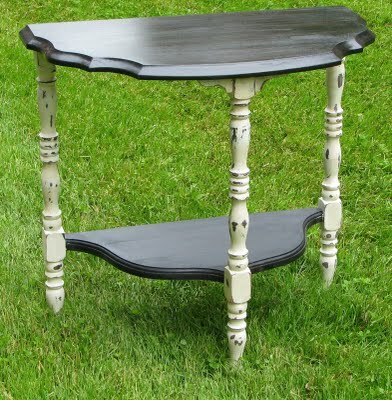 Upcycling My Life turned an ordinary side table into a black and white beauty! 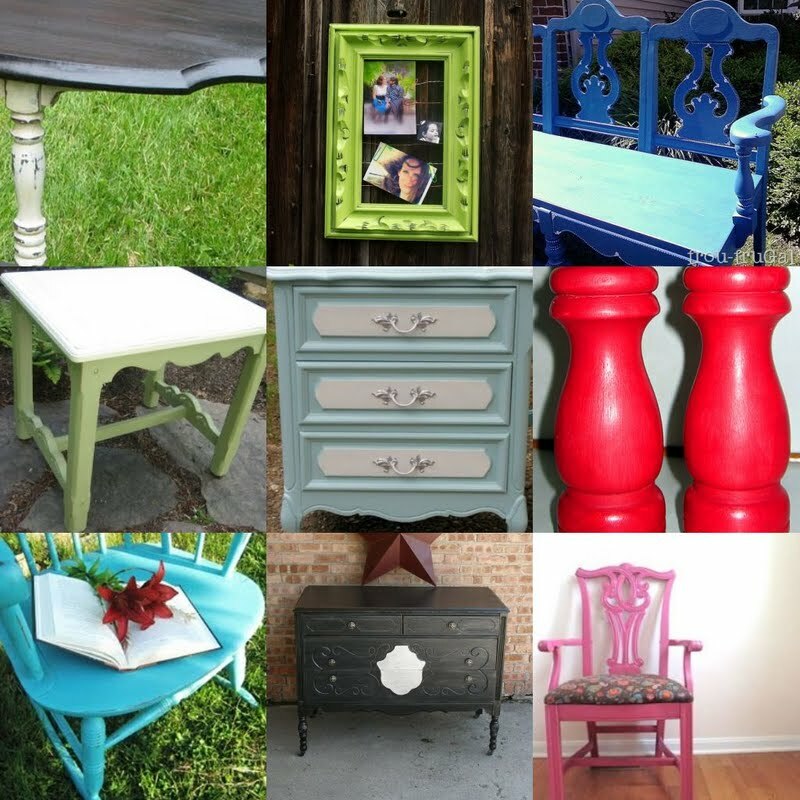 West Furniture Revival used turquoise to give this chair new life! Dream Home DIY turned gold to silver in a few seconds! 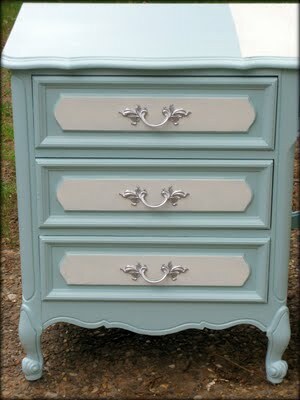 Tattered and Inked made this dresser makeover as beautiful as a Tiffany box! Grab a button and link up your trash! we linked a fabric makeover project...is that ok since it's not furniture?? if not delete delete!! ;) thanks for hostin! Thank you so much for featuring my "green" projects! What a nice way to start the day! And as always, thank you for hosting! THANK YOU for liking my little table!!! Love your party, and will be back again next week...so much FABULOUS inspiration here!! Thank you so much for hosting and for featuring my labor of love rocking chair, im grateful to be included in such good company.. ill be doing a shout out to you a little later. Thanks so much for featuring my black and silver buffet!! I was visiting to link up my dresser, and I was like - WOW THAT'S ME!! LOL - Thanks again! !